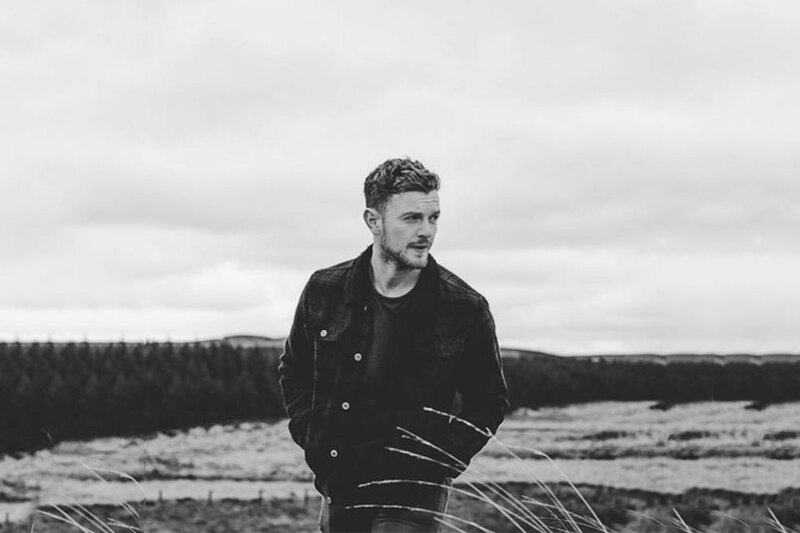 In this month's show we sat down with David Johnston, founder of OutsideIn: a street wear brand with a goal to rewrite the story of homelessness here in Belfast and around the world. 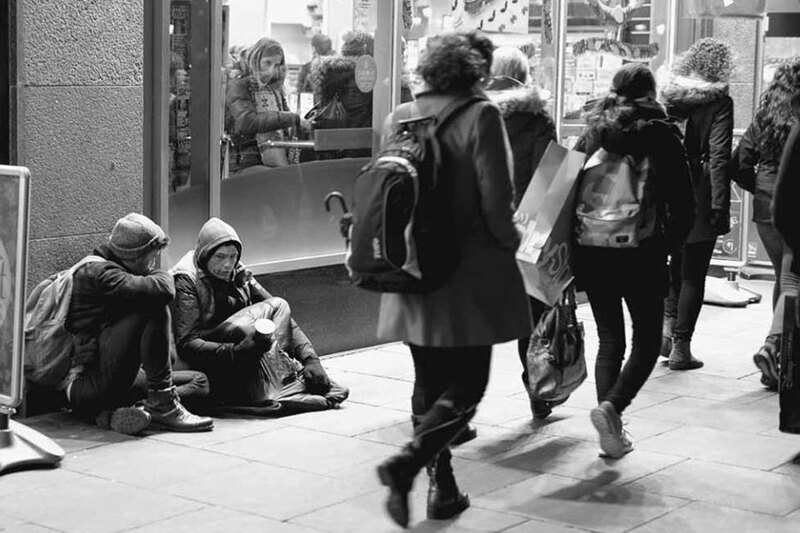 100 million people are homeless in our world today and according to the Simon Community 100,000 of them call Belfast home, making it both global issue and one right here on our doorstep. That's the question I asked when I heard about the group of young, passionate and highly talented team behind Belfast's latest urban clothing label. Many 'one for one' clothing brands have sprouted up after the massive success of shoe company Tom's. But, with various debate and scandal surrounding some of these businesses it can be easy to feel skeptical about the intentions of these kinds of social enterprises... or at least curious. We caught up with Dave find out about how OutsideIn is different and hear more about his story. Well, David Johnston went to Sterling University in Scotland and graduated last year. I've always passionate about business and knew I wanted to start something. Studying Business Management was vague enough to keep my options open. Going to uni gave me some breathing space and time to figure out what I wanted to do. I did some retail while in Scotland and really enjoyed the marketing side of that, it's been useful experience for what we are doing now. I've always had what some would call a 'compassionate side' but was never been directed towards people on the street. During uni I was part of a page called 'Humans Of Edinburgh' which was literally just a Scottish version of the 'Humans Of New York' one. Out of that came loads of really incredible and heart-breaking stories from the homeless community. It was the first time I had really experienced socialising with people on the street and it completely changed my perspective of that community. A lot of the reasons why they were on the street was outside their control. These people had so many skills, passions and dreams yet were in one of the lowest points of their life and often without hope or a way out. We would be on some of the busiest streets yet people would say "you're the first person that's talked to me all day." I just though that was crazy. The reaction to these stories were incredible, people online really connected to them and genuinely wanted to help these people. I know it's the same with me. After uni I traveled quite a bit and was just struck time and time again with how much of a global issue homelessness is. But putting a face to a name or a statistic changes the way you see the issue as well as how you plan to combat it. When I moved back to Belfast I was stirred up and wanted to do something for the homeless community and out of that passion OutsideIn was born. But How can a clothing company help people on the streets? We want to change people's perspectives of homelessness, the same way mine was. The only reason I was able to do this was by actually interacting with these people personally. My camera gave me an excuse, without that I wouldn't know how to approach someone. 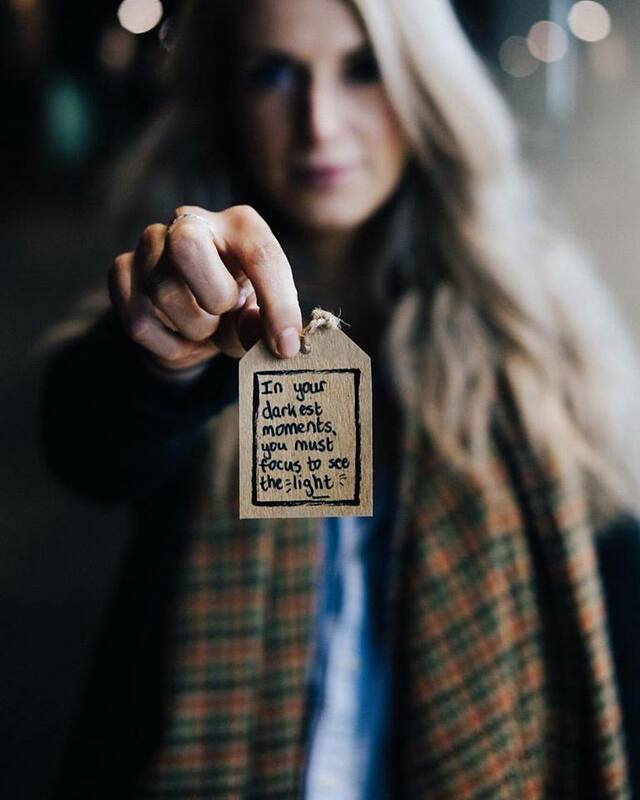 That's why we created our 'Wear One Share One' model meaning that every time someone buys a product from us we send out an additional free product with their order for them to give to someone on the streets. This means that a beanie or a wash bag becomes that 'reason' behind initiating an interaction or conversation with someone on the street and I believe that's truly what people who are homeless need. You always see people with lots of food or even spare change, but actually the most valuable thing you can give to someone is your time and a listening ear. The 'Wear One Share One' model encourages our customers to do this. That's what OutsideIn is all about. Aren't you concerned that some people will just keep the extra products for themselves? Loads of people ask me this all the time and it was one of the reasons people were skeptical about whether or not OutsideIn was really going to work. But the reality is, even if only 1/3 of people actually give the extra product away that's 1/3 more interactions with the homeless that wouldn't have happened otherwise. Plus with each order we send out a set of giving guidelines to encourage and guide people who perhaps have never done something like this before. We do this to ensure the dignity of the person on the street is up kept at all times. We discourage people posting selfies or just doing it for the 'likes' instead encouraging people to focus on making a genuine connection with someone and speaking words of hope to someone who needs it. Yes it's uncomfortable, yes it's risky, but the way I see it is life is too short not to take risks and go out of our comfort zones, cause that's where real change happens anyway. How does OutsideIn challenge culture within the fashion industry? We flip that on it's head by encouraging our customers to share high quality branded products with individuals who are homeless. Big brands like SUPREME focus on setting you apart from other people, whereas we challenge our customers to wear products that people on the street end up wearing too. Plus all of our products are ethical sourced... At the end of the day we are more focused on our goal and message rather than our profit margins. What are you excited about OutsideIn right now? Ultimately I'd love to grow the company to a worldwide movement to the point where it can run itself and I can step down. 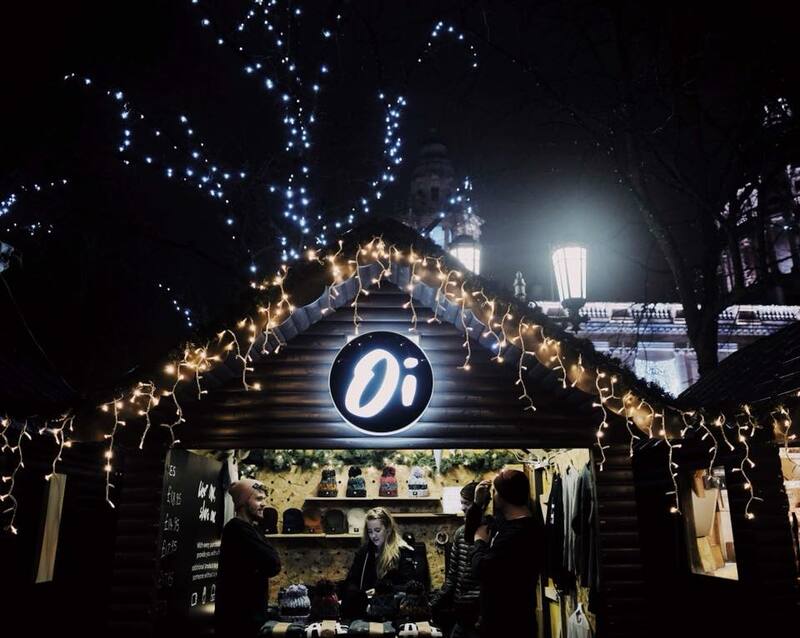 In the short-term we're really excited to have a stall at this years Belfast Christmas Market, it was something that we always dreamed of but didn't imagine would become a reality so soon. Other than that we have just launched our new winter collection just in time for Christmas and it's going down really really well! What type of products does outsideIn sell? We started last Christmas with our classic Oi beanies + pom pom hats and to this day I'd say that's what we are most well known for. These are great because they're lightweight and portable, making it easy to carry around until you come across someone who could make use of it. However, we quickly realised that these products are seasonal and that we needed to diversify our range. Find out more about David Johnston and connect with OutsideIn online. We wanna thank Dave so much for taking the time out to share his story with us. Join us at our meetup this Sunday to hear Dave's story in person at the Christmas market, connect with local creatives and even win some incredible OutsideIn products. 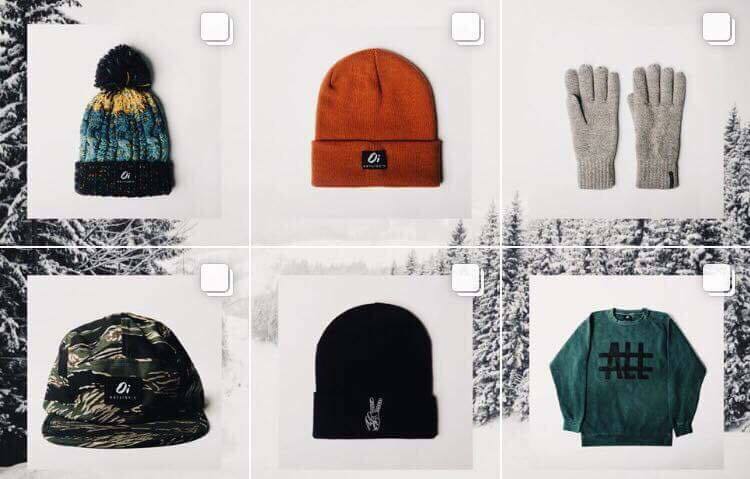 On the note of products be sure to check out their new range online and even take part in what this awesome local brand is doing by following them on Instagram or Facebook. That's it for today's show, looking forward to seeing you guys this Sunday.